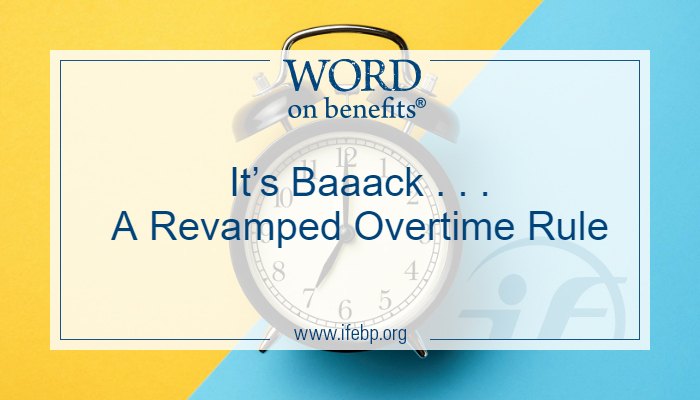 After a long wait, the Department of Labor (DOL) recently released a proposed rule to cancel the 2016 overtime final rule and update the salary threshold for overtime exemptions. The Trump administration estimates about 1.1 million more workers would be overtime-eligible under the new salary threshold. Employers will need to decide how to handle compliance issues, should the rule become final. Salary basis test. The employee must be paid a fixed, predetermined salary that is not subject to reduction based on quality or number of hours worked. Salary level test. The amount of salary paid to an employee must meet a minimum specified amount. Job duties test. An employee must perform work that is executive, administrative or professional in nature. Current law, unchanged since 2004, says employees who earn under $455 per week ($23,660 annually) must be paid overtime when they work more than 40 hours per week. DOL attempted to update the overtime rule in 2016, but that rule never went into effect because of legal challenges. In 2017, DOL requested and received public input from in-person listening sessions and comments. Commenters thought that the currently enforced salary levels needed to be updated, which brings us to the newly proposed rule. What is changing for employers? Minimum salary required for exemption. The minimum salary required for an employee to be exempt would increase to $679 per week (equivalent to $35,308 per year). The proposed amount accounts for wage growth since 2004. Total annual compensation for “highly compensated employees” (HCE). The amount would increase from $100,000 to $147,414 per year. Nondiscretionary bonuses and incentive payments (including commissions). Employers would be allowed to use nondiscretionary bonuses, incentives and/or commissions that are paid at least annually to satisfy up to 10% of the standard salary level. Employers would also be allowed to make a “catch up” payment at the end of the year to bring an employee up to the $35,308 minimum. Periodic review of the salary threshold level. DOL would provide notice and ask for comments regarding updates to the salary threshold every four years. This helps both workers and employers by having a regular, orderly process for future changes. Note: The dollar amounts are projected forward to January 1, 2020, the anticipated effective date. There are several aspects of the overtime rule that are not changing. Nonmanagement employees in maintenance, construction and similar occupations, such as carpenters, electricians, mechanics, plumbers, ironworkers, craftsmen, operating engineers, longshoremen and construction workers. No different salary levels for different regions of the country based on cost-of-living variations. The existing weekly salary level of $455 will continue to apply to employers in Puerto Rico, the Virgin Islands, Guam and the Commonwealth of the Northern Mariana Islands. DOL requested comments from the public on how to best implement future updates. Comments are due May 21, 2019. DOL will review and consider the comments in developing the final rule. We anticipate a likely effective date around January 1, 2020. 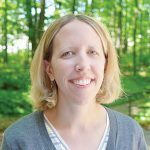 What should employers do in the meantime? Though the proposal is not yet final, and could be modified, employers may want to begin researching and planning what to do when the rule is finalized. There are a number of preparations employers can make. Confirm that current exempt positions meet the job duties test. Conduct an audit to determine the financial impact of the proposed rule. Consider adjusting salary levels or reclassifying positions for those employees whose earnings are at or near the current threshold. Train formerly exempt employees on timekeeping systems and overtime compliance. Consider prohibiting salaried employees from working overtime if productivity loss is not an issue.